What are the possible causes of failure in a transformer? The main causes of failure in a transformer result from a compromise of the internal insulation. This results from the cumulative effects of aging, mechanical damage or, in some circumstances, design or manufacturing faults. Insulation within most transformers is essentially paper impregnated with oil. This insulation can be compromised during the transformers life by mechanical stress (vibration) or certain aging processes degrading the paper and the oil. These processes are well understood by Aurtra. What test results indicate normal operation and what can indicate a fault? 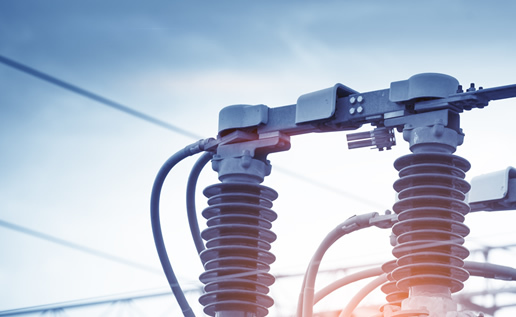 If the water content in the transformer oil is within the IEEE standard specified limits, then, we can be comfortable with its operating condition. Violating the standard limits may result in fault conditions. The same applies for temperature measurements. TILAS provides the exact data for temperature as well as water content in oil and hence indicates normal or risky operating conditions. What does it mean if the temperature, water activity and water content of paper curve keep on increasing over a week or a month? An increasing trend in the temperature and water activity of a transformer shows its unhealthy condition. Therefore, if the situation persists, the owner should plan maintenance or replacement. What is the effect of high moisture content in the transformer oil? As the level of moisture content increases in a transformer it has two major effects. Firstly, the additional water interacts with the paper in the insulation causing accelerated damage. This damage weakens the mechanical strength of the paper, allowing cracks to form and breakdowns to occur. Secondly, the additional water interferes with the insulation performance of the oil impregnated paper. Under certain circumstances this can result in insulation breakdown and catastrophic damage. Therefore, a high value of moisture in the transformer oil indicates an unsafe operating state. Such transformers must be managed very carefully and typically cannot be used to their original design limits safely. Transformers do not perfectly convert power. Some energy is lost in the process. This energy heats the transformer. As the temperature rises it causes changes within the transformer which degrade performance. All transformers have a maximum safe operating temperature. They also have a maximum safe rate of temperature change under high instantaneous load conditions. Are temperature rise and outside surface temperature related? Yes, to some degree. However, similar to all electrical equipment, the temperature deep inside the transformer will be much higher than that observed at the surface (or tank) due to cooling of the surface by ambient air. Not necessarily. It depends on the application and the cost benefit to be realized. Higher temperature class insulation systems cost more and larger transformers are more expensive to build. Therefore, the more expensive insulation systems are more likely to be found in the larger KVA units. What is “Class” in insulation? Insulation class was the original method used to distinguish insulating materials operating at different temperature levels. Letters were used for different designations. How do water and oxygen levels shorten the life of paper insulation? Oxygen and water both have a substantial impact on the life of the insulation. These oil pollutants interact to breakdown the polymer chains of the insulation paper. As these chains get smaller the paper becomes brittle and cracks occur. Breakdown can occur in these cracks resulting in catastrophic damage. What are the problems associated with transformers installed at high altitude? The transformers installed at high altitudes increase temperature earlier because of the lesser cooling capacity of air due to its lower density. Therefore, it is necessary to continuously monitor the temperature of transformers at high altitudes. What is transformer inrush current? When the transformer is turned on, the magnitude of the current flow is several times the rated full load current. This high magnitude of current during the transformer turn on process is called inrush current. Will TILAS give an indication of occurrence of future failure? The data and trends observed using TILAS indicate the risk of failure in the future. Alerts are also triggered when critical limits are breached to enable the engineer to take action to avoid catastrophic failure. How will TILAS aid transformer Asset Managers? The Aurtra TILAS solution is an advanced tool which provides the health status of a transformer in an easily accessible format. 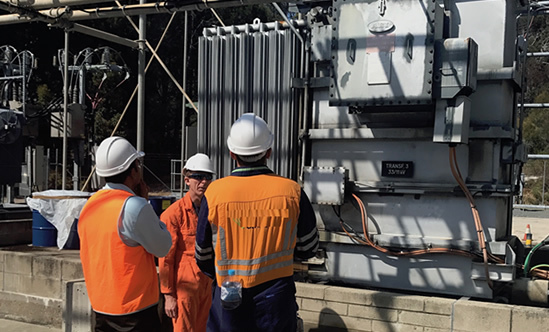 This information will enable Asset Managers to extend the life of aging transformer assets by determining the risks of increasing load or continuing to operate a transformer, as well as making informed decisions on when to refurbish, which maintenance strategy to apply, and when to replace. What information can be obtained from TILAS? The measurements, trends and alarms provided by TILAS include moisture in oil levels, moisture in insulation (hotspot and averaged), depolarization estimates over time, percentage transformer life lost through depolarization, dynamic response of insulation water content and the absolute depolarization level of insulation (hotspot and averaged). Can historical data be accessed? Yes, all data from the date of TILAS installation can be accessed. What if TILAS does not function properly? 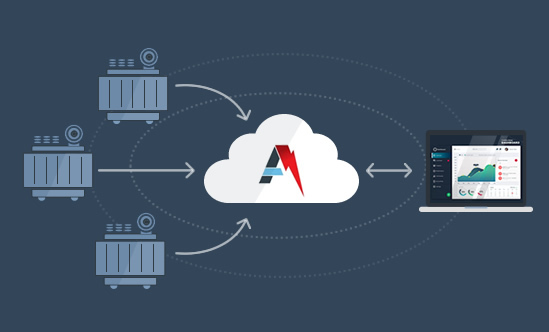 In case of non-functioning of TILAS, AURTRA will assist through online troubleshooting. If a fault is diagnosed, a replacement unit will be provided at no cost for subscribers. Will I require any training or specialized knowledge to understand the various graphical outputs? No, it will not require any training as the outcome obtained by processed data can be easily understood by engineering staff. Online help is also available. In addition, Aurtra can provide recommendations for any unusual situations to further assist decision-making. The technology was built upon a foundation of over a decade of research conducted by University of Queensland researchers. It is based on peer-reviewed research and is verified by testing and data gathered from a large number of transformers. Will use of the TILAS system increase the life of a transformer? The intelligence obtained from TILAS can be used to plan optimum maintenance of transformers which will certainly increase transformer life. Where should the TILAS be installed in the transformer? The TILAS probe is inserted in the oil through an opening in the transformer tank or through a fill valve at the top of the tank. The installation usually takes less than 30 minutes to complete.